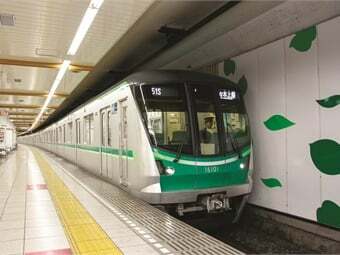 Tokyo Metro is responsible for transporting eight million people on a daily basis. 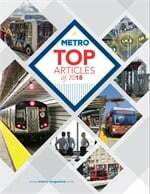 The metro company of the Japanese capital ranks third on the list of largest metro companies, in terms of passenger numbers, stations, and the total length of railway tracks — just behind New York and Paris. With the responsibility of having to operate on such a grand scale, time is of the essence. The most common means of transportation in Tokyo is the subway, which is operated by two independent companies, Toei Subway and the aforementioned Tokyo Metro. The metro network consists of 13 lines, with the Toei Subway operating four and the Tokyo Metro responsible for nine lines, which are 120-plus miles in length. One of the greatest challenges for Tokyo Metro is to ensure they keep up with their image as one of the most punctual transportation companies in the world. Keeping delays to a minimum is priority number one, says Tokyo Metro’s Public Relations Manager Noboru Ishikawa. According to Ishikawa, keeping delays to a minimum is crucial considering the enormous number of people that depend on Tokyo Metro’s services. Few people in Tokyo use a car to commute to and from work. The latter is reflected by the headways. “Depending on the line, the headways are five minutes on average. The shortest headway is one minute and 50 seconds in the morning during rush hour,” Ishikawa explains. That begs the question, how do they deal with delays? Rather than trying to resolve delays, Tokyo Metro has initiated campaigns to prevent them from happening in the first place. Around 10 years ago, the rail company launched a campaign with the aim to change people’s behavior. “Back then, the board was struggling with the ever-increasing number of passengers during rush hour [7 a.m. to 10 a.m.],” Ishikawa explains. “So now, people can earn points based on how many hours they take the train before or after rush hour — the further away, the more points they collect,” Ishikawa says. Another challenge Tokyo Metro is facing, is how to handle the increase of tourists visiting Tokyo in 2020 when the Japanese capital will host the Summer Olympic Games. At the moment, the Hajaoki campaign is only valid for the Tozai line, running from Chiba (East of Tokyo) to central Tokyo. Considering the extremely high rent prices in central Tokyo, many Tokyoites moved out of central Tokyo to suburbs such as Chiba. As a consequence, huge crowds need to commute from Chiba to central Tokyo each morning. During rush hour, an estimated 480,000 people take the Tozai Line. So far, 15,000 people have signed up for the Hajaoki campaign. It won’t always be necessary implement this peak hour deterrent. Tokyo Metro will only activate it in winter months between December and February, he explains. “This is the time people wear more clothes, so trains get more crowded. Even though there aren’t much more people using the metro, thicker clothes make the trains fuller, which can lead to dangerous situations,” Ishikawa says. 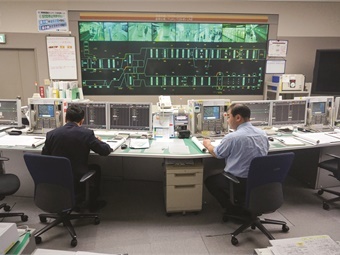 A visit to the company’s control room gives a detailed visual overview of the various lines, with the largest screen devoted to the Tozai line. Figures in red suggest delays, while the green numbers indicate trains that are ahead of schedule. The latter of which gives Tokyo Metro the room to even out delays on the different trains on each line, in case a delay occurs for one train. The control room displays show how the dwell times can vary per line. Another challenge Tokyo Metro is facing, is how to handle the increase of tourists visiting Tokyo in 2020 when the Japanese capital will host the Summer Olympic Games. “We visited London two years ago already, because it is comparable to Tokyo, more so than Rio,” says Ishikawa. Unlike London, the Tokyo Metro is faced with the lack of barrier-free routes inside stations. Language can be another issue for Tokyo Metro during the Olympics. Although the company is working hard on language training for the station staff, there are still concerns that there might be difficulties providing information to customers. To amend this, Tokyo Metro plans on increasing the visibility of pictograms inside stations and their metros. “So we can make it clearer how to lead people in the right direction, or inform them about restrooms, or other public facilities,” Ishikawa says.